From Saints baseball to historic tours, cultural festivals, brewery happenings and everything in between—you'll find it all in our events calendar. Tap lessons every Friday from 4-6pm! Now offering food and drink specials all day every Sunday PLUS 1/2 off arcade! 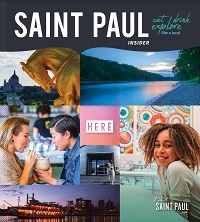 The historic Cathedral of Saint Paul is open Tuesday - Friday for guided tours. If you've got an event you'd like to share, we've got a platform for you to share it. Just be sure to follow our guidelines. Say goodbye to snow and ice, say hello to fresh air and sunshine (hopefully).